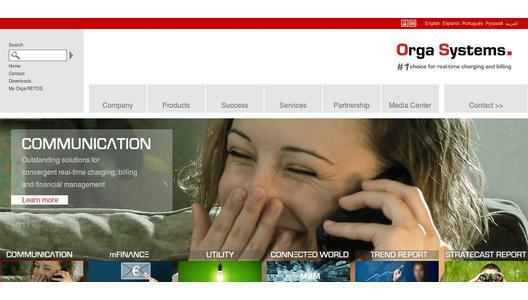 Paderborn (Germany), 21 May 2012: Orga Systems, a leading provider of convergent real-time charging and billing solutions for telecommunications, has released OS.Interconnect; an end-to-end interconnect billing solution developed to help CSPs manage their interconnect business. 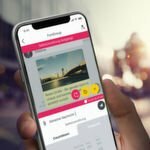 Not only does it offer a fully integrated suite of interconnect management tools, its streamlined billing efficiencies prevent wasted revenues by ensuring every call is captured, rated and invoiced correctly. Using OS.Interconnect, Orga Systems estimated it can help CSPs maximise interconnect margins up to a double digit number. OS.Interconnect responds to the needs of CSPs by providing a way of managing a multitude of trading partners and a wide range of network technologies. It gives CSPs streamlined control and with Orga Systems’ interconnect technology; calls can be tracked from any network provider and termination point. With OS.Interconnect, CSPs get everything from end-to-end efficiencies, consistent data handling to easy-to-use interfaces and automation of repetitive tasks, reducing the risk of human input errors. As service providers search for new revenue streams, OS.Interconnect also puts CSPs in control of their costs while providing a wide range of interconnect business tools like partner-specific billing and management reports, audit and dispute management, and streamlined validation processes for invoicing and settlements between multiple partners. “Today’s CSPs need an agile product platform and a responsive vendor partner. End-to- end control helps service providers maximise their revenue streams, reduce costs and offers a depth of interconnect management other vendors can’t match,” says Ramez Younan, CEO Orga Systems. “OS.Interconnect gives CSPs full control of their interconnected business needs. We want to fulfil business demands by preparing our customers for new settlement models and partnerships”, he adds. Orga Systems – #1 choice for real-time charging and billing. Orga Systems’ convergent real-time charging and billing portfolio enables profitable business for Telecommunication Companies, Mobile Finance Institutions, Temelatic and Energy Suppliers. Worldwide 40+ customers, serving 350+ M subscribers, rely on Orga Systems and achieve competitive advantages in their industry: reduced OPEX, real time-to-market, short-termed ROI as well as beneficial access to new value chains and revenue streams. For more information, please visit: http://orga-systems.com.